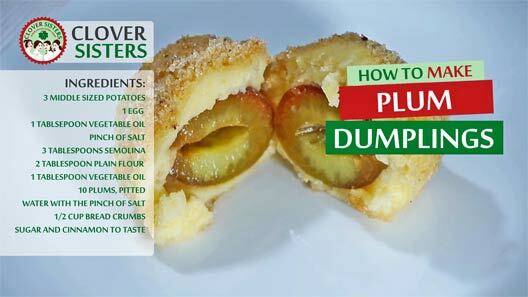 Sweet plum dumplings are made of potato dough and filled with whole plums, just like grandmas were doing. 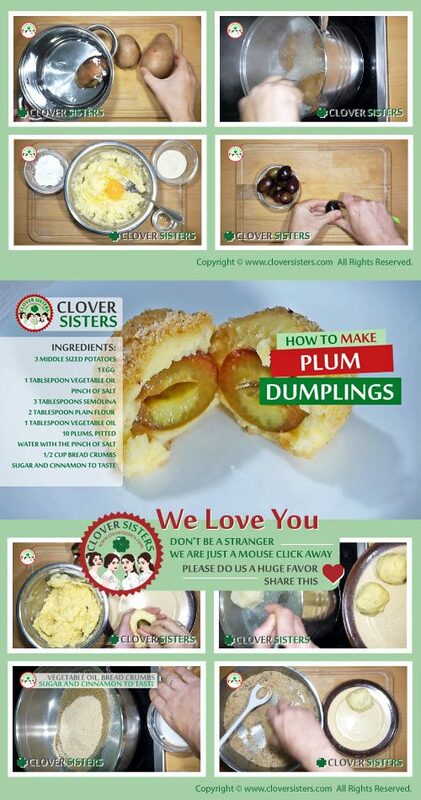 While indulging your sweet tooth, plum dumplings will warm your hart too. Place the potatoes into pot and cook until fork can pass easily throughout the potato. Let it cool for a few minutes and then peel. Smash potatoes while still warm making smooth puree. Add the egg, flour and semolina and oil. Mix to make smooth dough. Split dough into 10 pieces and use each to make a ball with the plum inside. In a wide pan warm the oil and add the bread crumbs. Stir and heat for a minute. Then add the sugar and cinnamon and mix well. Put water with the pinch of salt to boil and drop dumplings into it. Cook them until they come to the surface. Put them into bread crumbs directly from water.